← If the Nova Scotia Government changes direction of its Crown land forestry management, how will it deal with cuts approved but not implemented in the meantime? Folks in the St. Margaret’s Bay area who spearheaded the successful campaign to see the people of Nova Scotia “Buy Back the Mersey Lands”, then to see a Community Forest on the St. Margaret’s Bowater Mersey lands rebuffed, then to witness the disastrous cut on sensitive lands just east of Panuke Lake and work with government and others to develop better management, then fought further cuts, then started working towards protection of lands in the Ingram River Watershed – and still expressed optimism based on the impending Lahey Report* – could be forgiven for being upset with that latest announced proposed harvests on Crown lands. “More clearcuts announced within a proposed Wilderness Area for the second time in three years! Submit your comments on the Harvest Plan Map Viewer, at ForestryMaps@novascotia.ca, to Minister of Lands and Forestry Ian Rankin at mindnr@novascotia.ca, Chester St. Margaret’s MLA Hugh MacKay at info@hughmackay.ca, and Stephen McNeil at PREMIER@novascotia.ca by Jan. 8, 2019. -This parcel borders on the depicted clearcut – the forest shown on the right of the photo – and would further fragment the Old Annapolis Nature Reserve. – This parcel is the largest in the group and was one of the biggest clearcut deferrals from 2016. -This parcel borders on Sandy Lake and would be the most prominent parcel in sight of Scout Island. -This parcel borders on Sandy Lake and is in close proximity to Scout Island, possibly visible from the island’s southern tip. -This small clearcut borders on the southern end of Sandy Lake and is quite close to the dam and fish ladder – the longest in the province and that which started to see gaspereau for the first time in over 100 years in 2016. – This parcel is south-east of Big St. Margaret’s Lake and east of Northwest Lakes. – Systematic patch cuts are an uneven-age management method and can be quite desirable but it depends on the ratio of the patches to remaining forest Probably a lesser-concern. -These parcels are south-east of Big St. Margaret’s Lake and east of Northwest Lakes. – Generally speaking, this is the type of forestry that we would want to support and it is as important to support the good decisions as it is to condemn the bad. “All-in-all, this adds up to 222.7 acres of harvests within the proposed Wilderness Area with 76% of the harvests being what the National Forestry Database would call clearcuts. 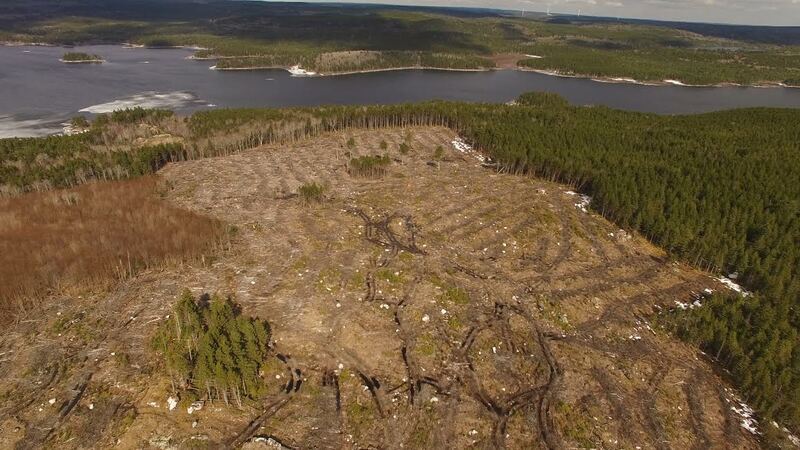 “Just under three years ago, after concerns raised by the St. Margaret’s Bay Stewardship Association, Scouts Canada, Ecology Action Centre, and many community members, we were able to get a large amount of clearcuts deferred – see link – https://www.cbc.ca/…/bowater-scout-island-clear-cutting-1.3…. “Now, much of the same area has been re-posted in the Harvest Map Viewer as slated for harvest, the majority of the harvests being either clearcut or shelterwoods, which the National Forestry Database would call a clearcut. 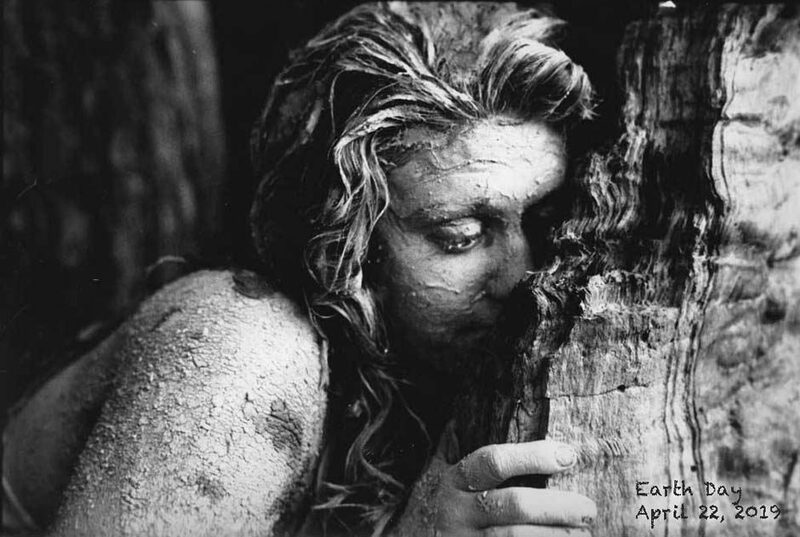 “Before working for years to protect the area, the St. Margaret’s Bay Stewardship Association had worked for years to get a community forest designated and were the leaders of the “Buy Back the Mersey” movement that led the province to buy back the majority of the land holdings when Resolute Forest products decided to close up shop in NS. They have also done extensive work with Adopt-A-Stream in an effort to assess and restore the Ingram and Indian River watersheds; a project that will take years to complete. So a lot is riding on the Government’s response to the “Lahey Report” which will be made this a.m. They have some way to go. Will they now exclude “existing commitments” from any new directives, including the secretive 1-year agreement they made with WestFor on Oct 1, 2018 of which these lands are a part? The existence of the agreement was revealed only informally on Nov 6 in a CBC interview. The Liberals had promised not to make any “long term” agreements with WestFor until the Report from the Independent Review was in, but then proceeded with this agreement which was longer than any of the short term agreements that had been made (with significant restrictions) up ’til then. It’s sure looking like that was a deliberate ploy so that they could say it is not a “long term” agreement when it was all revealed and when and if the government adopted recommendations of the Lahey Report. Coincidentally or not, it was also made on the same day the “new NAFTA” deal was reached which might make one wonder whether they were waiting for U.S. scrutiny to fade before they made the deal with WestFor. So will this be how it goes down today when questioned about application of [possible] new procedures to already designated harvests on Crown land? Please prove us wrong, Mr. McNeil and Mr. Rankin. 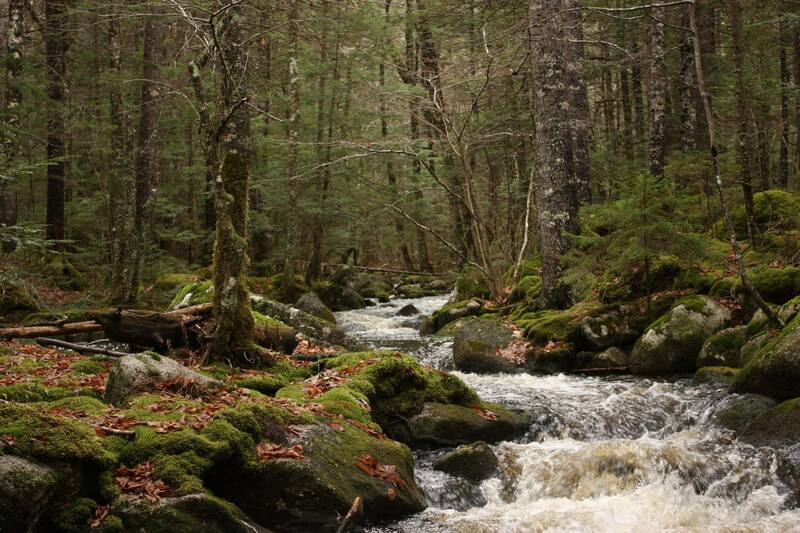 The St. Margaret’s Bay Stewardship Association is calling on the Nova Scotia government to place an immediate moratorium on proposed cutting within the boundaries of the proposed Ingram River Wilderness Area until Nova Scotia Environment performs a full wilderness area assessment. In 2016, when these same areas were slated to be clearcut, the St. Margaret’s Bay Stewardship Association, Scouts Canada, and the broader community came together in protest, saying the Ingram River Wilderness Area was simply too valuable to the thousands of annual visitors, including residents and tourists, to lose to clearcutting, which would affect the area for generations to come. The Stewardship Association’s board chair, Nick Horne, says the association is very upset that clearcutting is being considered within the boundaries of the proposed Wilderness Area, asking “What has changed? Why does the community have to fight this battle again?’. 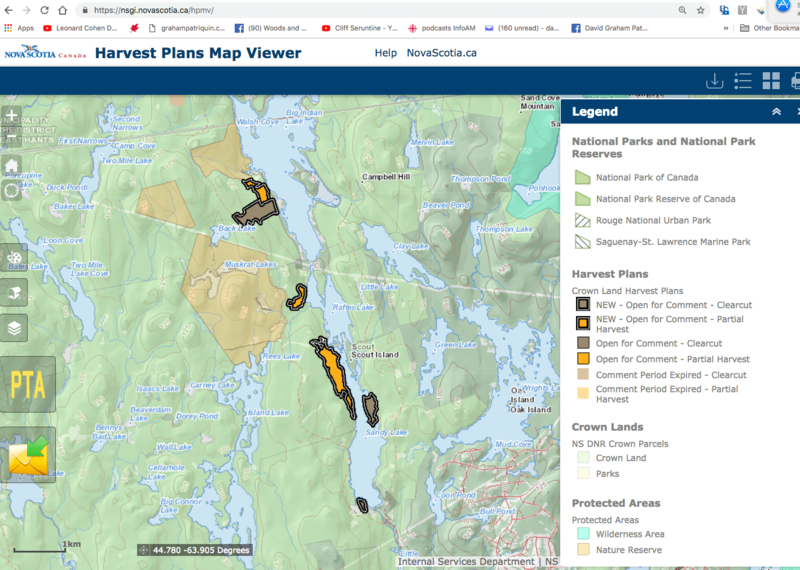 The St. Margaret’s Bay Stewardship Association is calling on the public to submit comments to the Minister of Lands and Forestry, Iain Rankin at mindnr@novascotia.ca or directly through the Harvest Plans Map Viewer platform. The deadline for submission of comments is January 8, 2018. The St. Margaret’s Bay Stewardship Association says diligence and consideration of the proposed wilderness area demand that the province conduct a full wilderness assessment before a single tree is cut down in the area. Says Horne, “The assessment must come first, as Nova Scotia will not get a second chance to do the right thing. These clearcuts will affect the area for many generations to come.” The Association board acknowledges that forestry is an essential industry, but there is a place for forestry to occur, and within the boundaries of a proposed Wilderness Area is not that place. This entry was posted in Acadian Forest, Biomass, clearcuts, WestFor. Bookmark the permalink.